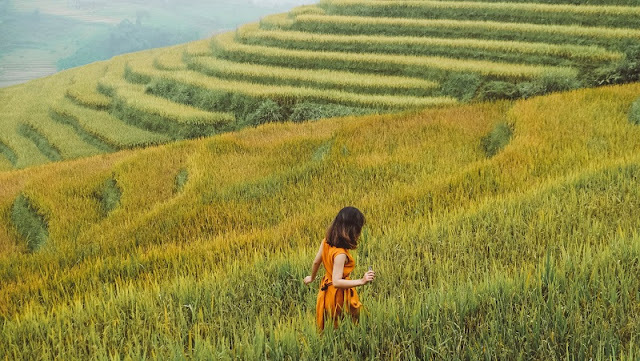 The vivid picture of the vast rice fields and terraced fields of enchanting, passionate people make a beautiful golden season throughout Vietnam. The head of the country is home to the most beautiful terraced rice terrains. The rice paddies here lay cascading, ridge layers stretching along the other side of the mountain. On each occasion, photographers and professional photographers again call each other to photograph the season of rice. This picture was taken mid-September and the rice is still not ripe. 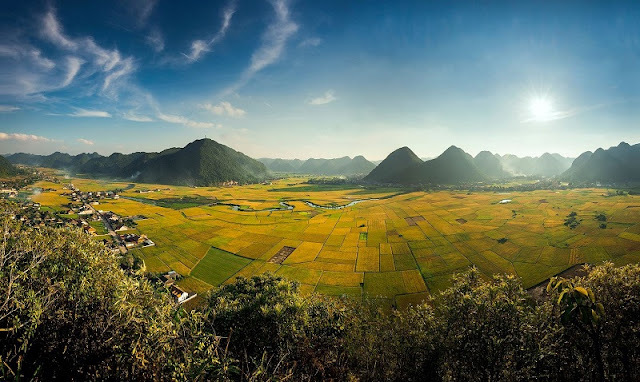 The next 1-2 weeks will be the best time to see the sea of Ha Giang rice when the golden color covered the hillsides. Picture: Hong Linh. 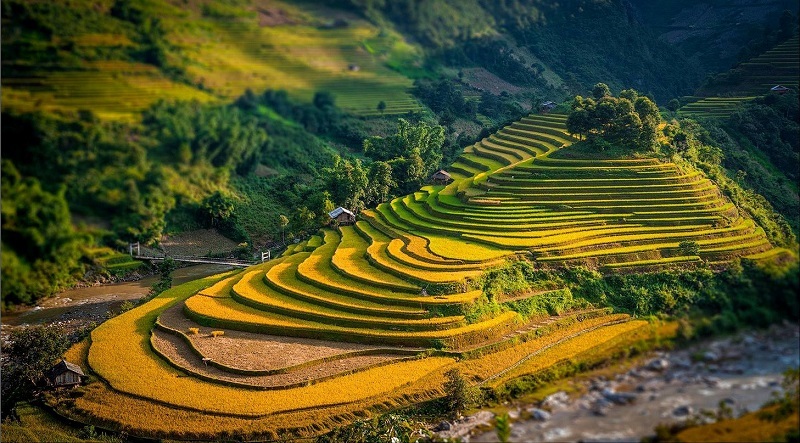 Hoang Su Phi with its beautiful rice terraces is the most famous ripe rice hunting spot in Ha Giang. The road to Hoang Su Phi is not easy, you will have to overcome the most spectacular Ma Pi Leng pass. In return, you are certainly satisfied with the impressive scene and the glorious experience here. Located about 160 km from Hanoi, Bac Son Valley (Lang Son) is also a great place for you to admire the poetic landscape of rice fields. The paddy in Bac Son is not growing at the same time, so the field is harvested first, the field is harvested later. The combination of paddy fields and ripe yellow rice make up the colorful array of interwoven interesting animals. The appropriate time to look at rice in Bac Son is mid-November. Being in Bat Xat district (Lao Cai), Y Ty is the place where rattan hunting attracts crowds of young people in recent years. This mighty mountain land possesses meandering meandering fields like hundreds of captivating golden waves that give you a completely different feeling. 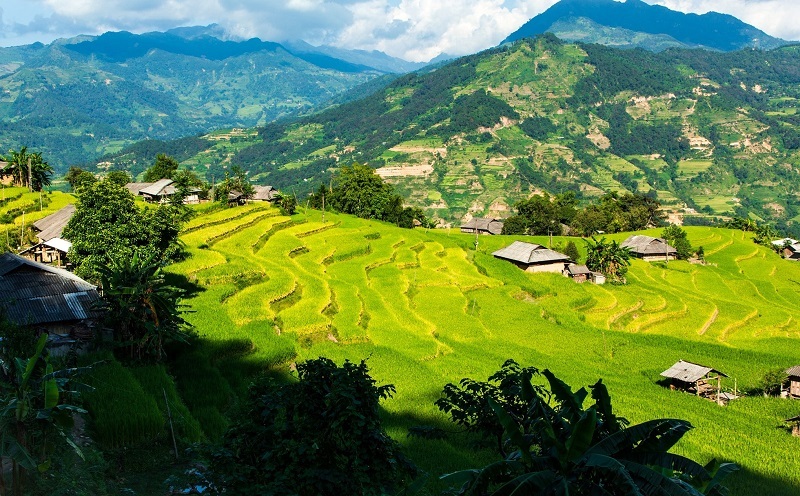 The familiar name of Northwest tourism, Sa Pa (Lao Cai) is also the terraced rice paradise with harmonious beauty of golden rice rice harmonious in the scenery of mountains romantic. 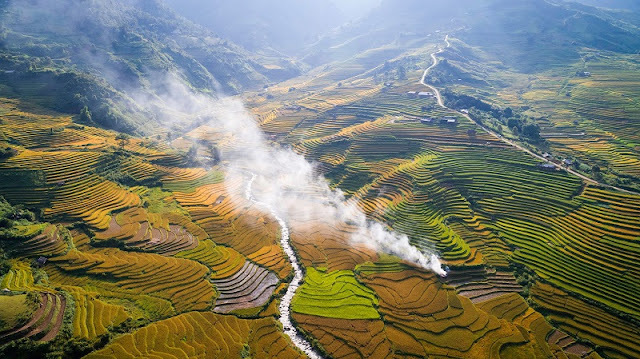 The magnificent Sa Pa terraces have been selected by Travel and Leisure, the famous travel magazine of the United States, voted as one of the seven most beautiful terraced fields in Asia and the world. If list the most majestic place to photograph rice season, Mu Cang Chai (Yen Bai) will stand at the top. 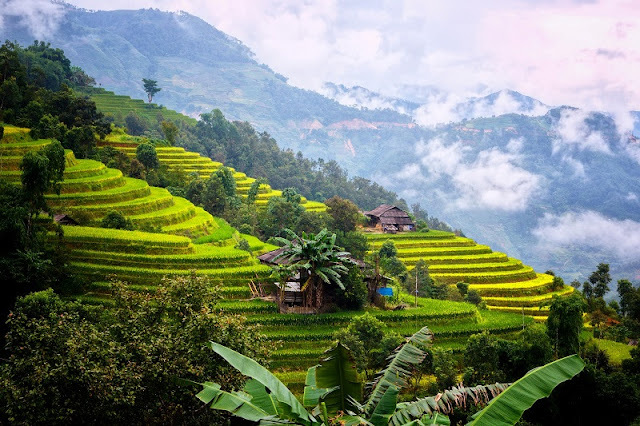 Located right at the foot of Hoang Lien Son majestic, Mu Cang Chai terraced fields like the keys of graceful sky, harmonious harmony of yellow music brilliant. Come to Mu Cang Chai in September, you are like the golden ocean, vibrant, all the splendor of the harvest season. Not as magnificent as Mu Cang Chai, Tu Le valley (Yen Bai) with a beautiful appearance like the beautiful girl of the region of Charcoal. Bring peace of beauty, simplicity, Tu Le who makes a visit once also feel anxious. Tam Coc - Bich Dong (Ninh Binh) about 100 km from Hanoi, located in the famous Truong An scenery populations. 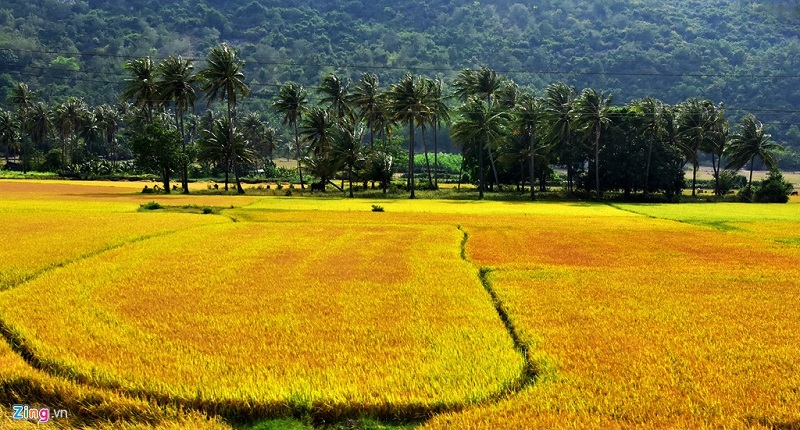 You can completely admire the wonderful scenery of rice fields in Tam Coc during the weekend. 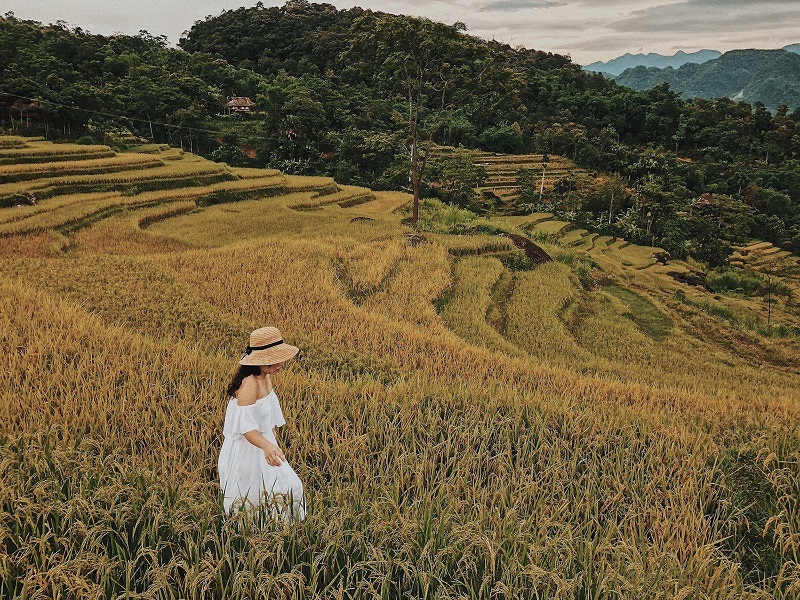 Enjoy the nature in the countryside, you are free to enjoy the romantic view of rice fields bloom in the river, made from the light color, beautiful and enjoy the peaceful moment. This time it is also very suitable to visit and enjoy the cool souvenirs in Pu Luong. 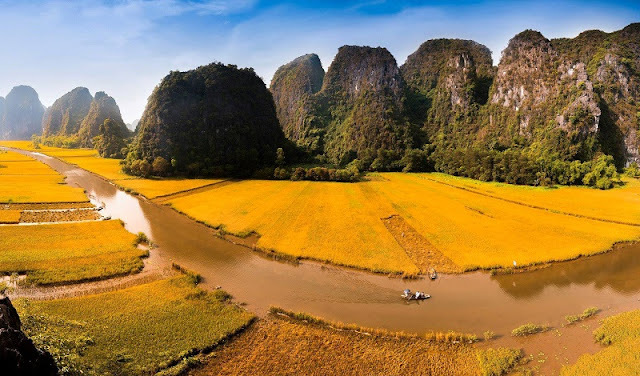 Situated in the northwest of Thanh Hoa province, Pu Luong Nature Reserve impresses with its unspoiled beauty and wilderness, especially the terraced fields stretching into the pristine jungle. Pu Luong in the season of nine rice, the terraced fields on the hillside turn to brilliant yellow, the scene as dyed a lyrical color, rich. 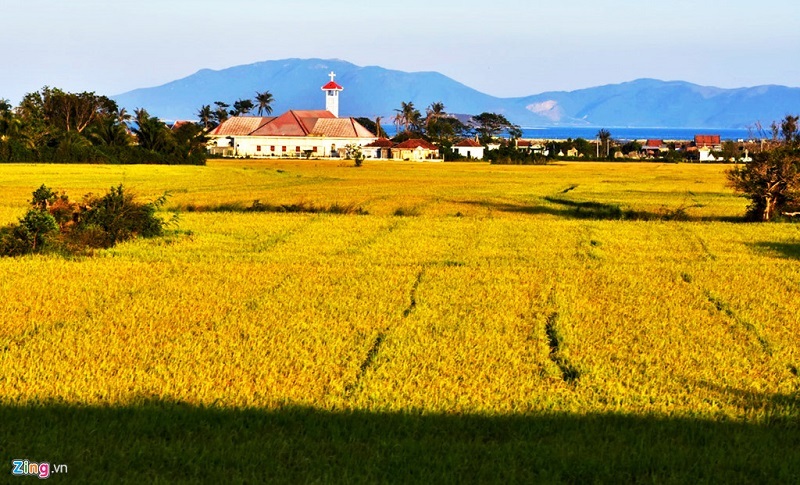 Phu Yen is honored to be the granary of the South Central region with the largest rice area in the region. The "yellow flowers on the green grass" also own special charms, attractive visitors in the season of nine rice. Phu Yen tourism in the harvest, you will see the sky is flooded in yellow color, smelling the smell of rice. From the Ca pass to Tuy Hoa, the two sides of rice sugar nine gold straight, far away is the mountains, the machine threshing rice mixed in people call each other bustling. Peaceful scenery of blue sky, white clouds, golden rice in the bustling atmosphere of harvest will leave an unforgettable impression for you. Not as magnificent as the rice terraces in the Northwest, the rice fields in Khanh Hoa is like a peaceful picture full of herbs with white herron, the clear sky and the golden background of the vast rice mat. 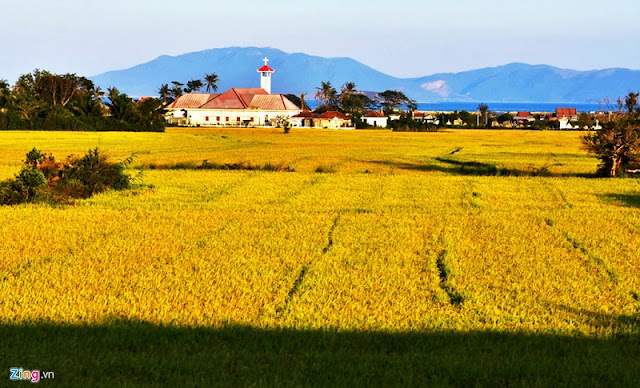 In the picture is the ancient church in golden rice fields in the coastal area of Khanh Hoa. Ta Pa rice field (Tri Ton district, An Giang) is one of the most beautiful rice fields in the Mekong Delta. Step into the romantic rice field is very simple and rustic here, you feel the peace as it is back to the years of childhood. 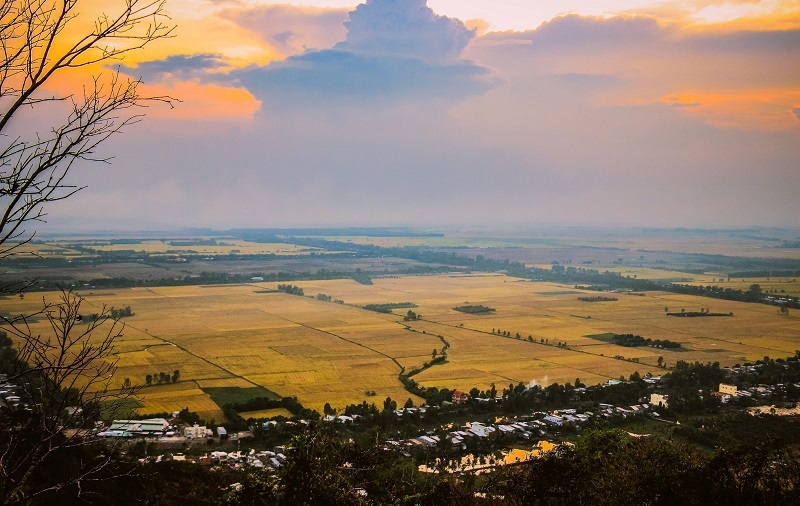 Ta Pa is not only a destination for hunting beautiful rice but also help you get rid of all sorrow, indulge in the peaceful nature, typical of South Vietnam. Immerse yourself in this amazing beauty that you will love this life more than ever. 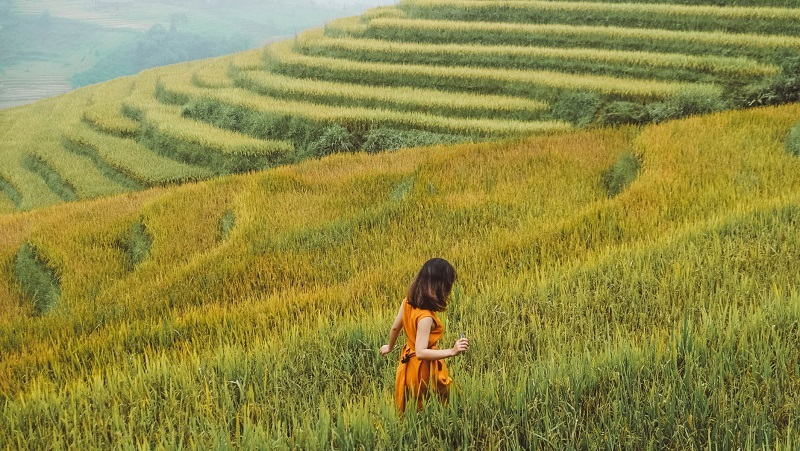 Vietnam always welcome you to visit, choose a perfect holiday in Vietnam to be connected with the friendly people and endless beauty of nature.